True to the genesis of its name, Oracles constitutes outstanding professionals associated with the field of landscape architecture, geared towards providing site planning, landscape design and construction administration services. …has by far been the supreme inspiration in the conception of designed environment. An ode to this reality forms the basis of our philosophy. Our work strives to integrate the physical, cultural and spiritual flow of thoughts and processes associated with open spaces and built form. Each site bears testimony to the physical, biological and cultural history as layers that define its identity, waiting to be discerned. Our strongest concern lies in evolving a unique design vocabulary that is highly responsive to the context. 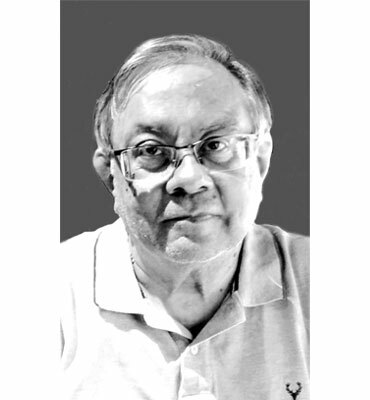 Ashwani did his undergraduate studies in Architecture from the Centre of Environmental Planning and Technology, Ahmedabad in 1986. He went on to pursue his masters in Architectural Design from the University of Arizona, Tucson, USA. He has been the recipient of University of Arizona Foundation award for outstanding teaching student and was awarded the prestigious scholarship for the Architectural design summer program at the Boston Architecture Centre conducted by the internationally acclaimed Kevin Rosch. Before returning to India, Ashwani has worked at internationally renowned offices of Raffial Vinolli and VSP Associates, New York. His competition entry for the West Coast Gateway Project was exhibited at the Los Angeles Museum of Modern Art in 1988. He teaches at the School of Planning and architecture as a visiting professor at the Department of Architecture and leads design studios as a key member. His vast experience with design management, construction processes, materials, technology and resourcefulness are his key competence and responsibility as a part of Oracles. Anuj graduated as an architect from Sushant School of Art and Architecture, Gurgaon in 2008, following which his interest in the natural environment and site planning took him to explore the realm of landscape. He holds masters in Landscape Architecture from the Centre for Environmental Planning and Technology, Ahmedabad. His research work titled ‘Role of anthropogenic processes in evolving Landscape’ was aimed at understanding the relationship between cultural and the natural resources through time. A sensitive designer, his academic work was exhibited at the Hobart International Waterfront Design Competition at Australia in 2006. 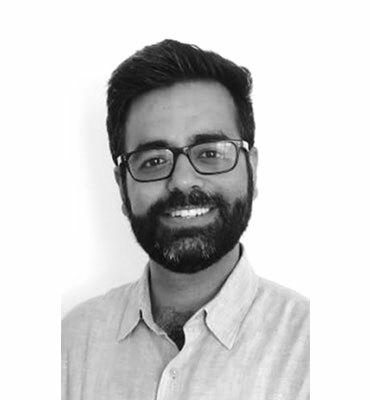 As a partner at Oracles, he brings in sensitive and creative design skills coupled with a keen understanding of urban landscape, environmental issues, ecological reclamation and landscape construction practices. As a key design leader, he contributes towards conceptual ideation and documentation for projects. He controls design quality as well as adherence of the design intent through meticulous construction documentation, coordination and periodic site assessment. Harbir, a 1993 graduate from School of Planning and Architecture, New Delhi completed his graduate studies in Landscape Architecture from the same institute. He served as a research fellow at CEEST, University of Massachusetts, USA, looking at environmental geo-technology issues with a globally sustainable development perspective. Harbir’s key competence lies in Landscape design coordination, site engineering and project management. He takes up visiting faculty assignments at School of Planning and Architecture, New Delhi at the Department of Landscape Architecture. His lectures deal with ‘Professional Practice’ and ‘Advanced Landscape Engineering’, followed up with engineering and design studios. 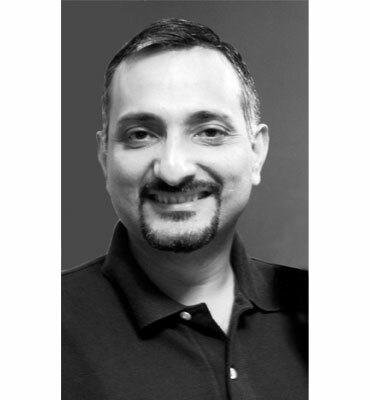 Sandip holds a bachelor’s degree in Architecture from the School of Planning and Architecture New Delhi, graduating in 1992. At post graduate level, he received the prestigious India Scholarship from the University of Oxford, UK for the Masters in Science program in Sustainable Urban Development. He is also a post graduate associate at the ‘Future of Cities’ program of the Institute for Science, Innovation and Society, University of Oxford and a member of the Urban Climate Change Research Network (UCCRN). He is a visiting Professor at the School of Planning and Architecture, New Delhi, his alma mater, where he has now been teaching for the last several years. 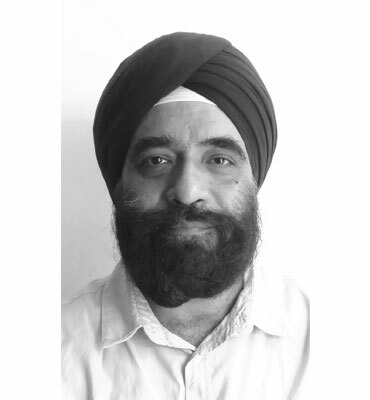 Apart from his role as a tutor and a mentor in the design studio, he has guided several student dissertations and seminars. .
With his leadership quality, vast array of experience, applied knowledge and professional expertise, Sandip has led prestigious residential, hospitality, institutional, commercial and industrial projects. His key competence lies in context assessment, urban design, master plans and architecture design. Suneet Mohindru, practicing architect and landscape designer, founded ‘Oracles’. The consultancy practice focusses on landscape design, planning and conservation with a view to bring to the fore intense theoretical background and passionate rigor. Its foundations lie in its vision as an organization that would not only serve its patrons to deliver highest standards of professional work but also provide a fertile ground to foster young, aspiring individuals to develop and contribute collectively to the profession. His work and interests have seen him travel though the globe and acquire extensive exposure while also establishing strong collaborative bonds with leading international practices. He has constantly endeavored to use his consultancy practice to polish his own skills and engage in innovating responsive and responsible design ideas towards creating stimulating living and working environments. His key competence lies in developing landscape master-plans, open-space structure planning, landscape-urban interface, site planning and landscape design, context assessment, landscape history and theory, and landscape construction technologies. Academics are Suneet’s strong parallel pursuit. 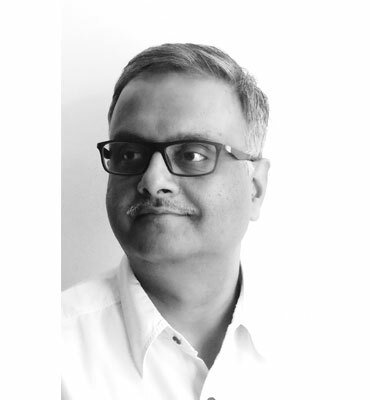 He is appointed as Visiting Professor at the School of Planning and Architecture, New Delhi and Senior Advisor and Visiting Professor at the Landscape Department at PVP College of Architecture, Pune. He regularly engages himself with special courses, electives and as a jury member in various other institutes. Cultural Landscape, open spaces associated with learning environments and Hill Architecture have been his key research areas. Apart from being an active member in the studio design teams, he runs lectures on ‘Landscape Theory and History’ for graduate students at the Department of Landscape Architecture. He also leads studios and lectures for ‘Site planning’ at the Department of Urban Design.